Hi friends! “Engagement season” is here (Yes, we have a term for it), and I don’t know about you, but my Facebook page is filled with engagement announcements! There is so much love and excitement that surrounds a newly engaged couple, and I just absolutely love it! But soon after that excitement wears off, you’re hit with the reality of the fact that you have to start planning a wedding– something that you most likely have no clue about, right?! Sure, you’ve been in a wedding or two, or maybe one of your close friends recently got married, but things are different when it’s YOUR wedding! And if you’re anything like me, you have NO idea where to start. 2) I was NOT a wedding planner when I planned my wedding. I was completely clueless, and my mom pretty much planned it. 3) Everyone’s wedding is going to be different, and you may not do things exactly as I recommend. This is meant to be a general guideline for you. Okay, now that I have that out of the way, let’s get started! I’ve created a little checklist that you can save for quick reference, and then descriptions are all below! We do know that it’s hard to have a good idea of what you’ll even need in terms of budget. Check out the Setting A Budget section of our Newly Engaged Guide for more information on what to expect things to cost! Choosing your wedding date might seem like a no-brainer at first, but there are several different things that you need to consider before setting anything in stone. Click here to learn more! 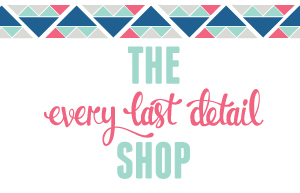 You might be wondering, “Where do I even start with my guest list?” Click here to learn more! A wedding style is something that every wedding has, something that defines and describes a wedding’s look and feel. Establishing your wedding style will help you tremendously when having to make decisions! Click here to learn more! I have a few questions that you can ask yourself that will help guide you in the process of choosing your wedding venue… Click here to learn more! Choosing and hiring your wedding vendors is one of the most important steps in planning your wedding, because these are the people who are going to make your day happen! Learn more about this process by going to the page in our Newly Engaged Guide entirely dedicated to finding and booking vendors! Wedding dress shopping may be one of the most fun parts of wedding planning, but there are also a few insider tips that will help you leaps and bounds. Click here to learn more! And remember, sometimes things are done differently depending on your own situation, so it’s totally fine if you don’t follow these steps exactly. 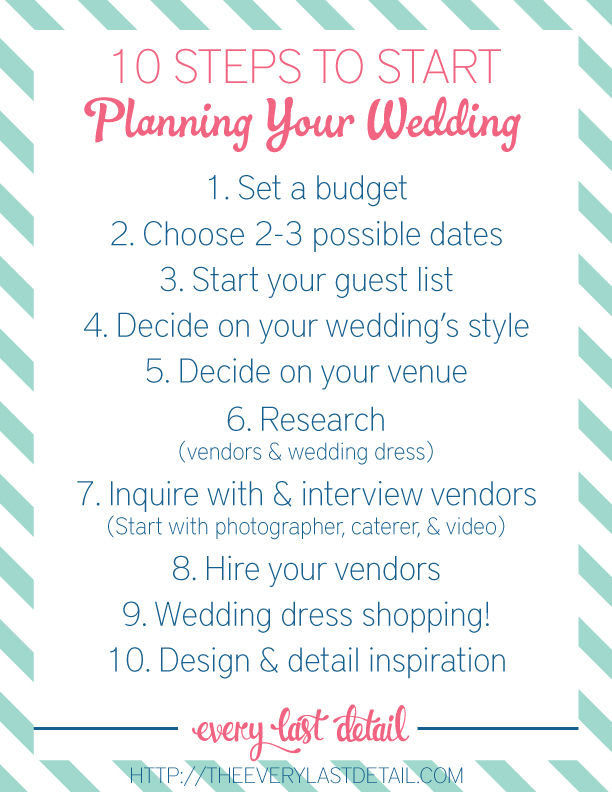 In my experience as a wedding planner, this order has been to be the best way to go. :) And most of all, don’t forget WHY you’re planning a wedding- to spend the rest of your life with your best friend! HAPPY PLANNING!!! 26 responses to Newly Engaged? 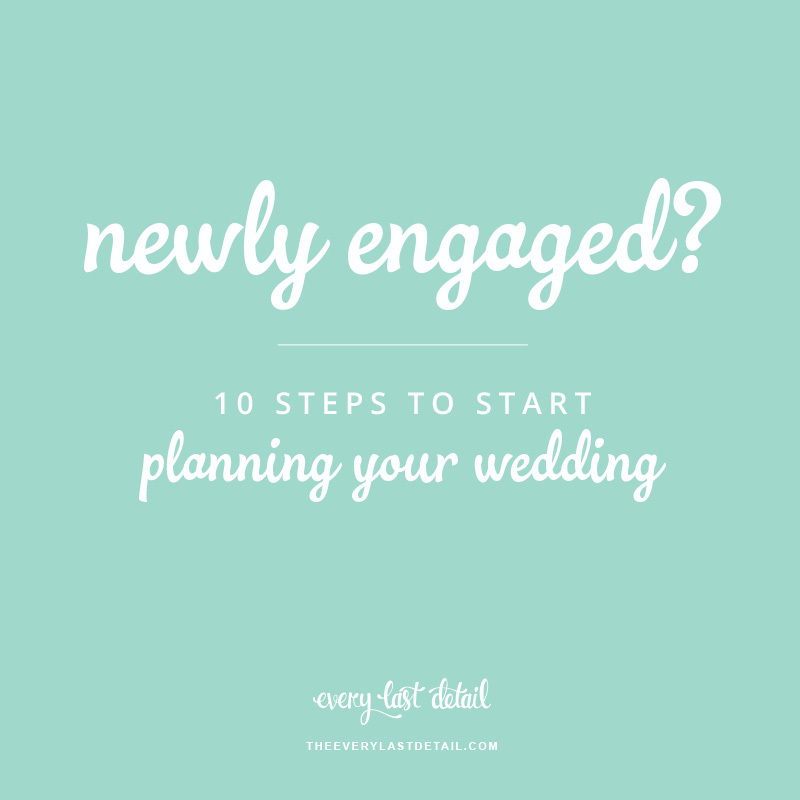 10 Steps To Start Planning Your Wedding! 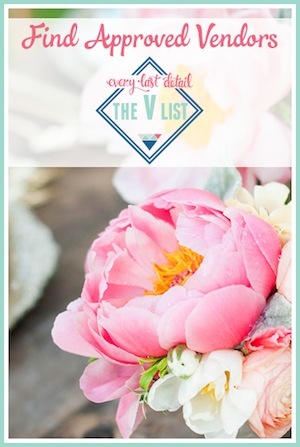 What a great list for newly engaged ladies. I love the info you here! And the links are super handy too. I really like your site. As a wedding professional, I enjoy reading other applicable sites as well. Thanks for sharing your information. We want to see more about flowers you guys! Otherwise, we have to say that it’s a great post! im new engaged i enjoy to watch this…. thnx…. I just read every. single. one. of your planning posts. Thank you so much for your awesome, informative, inspiring advice! I’m subscribing, because there is no doubt in my mind that your future posts will be crucial during my crazy, stressful, AWESOME wedding planning journey. Thanks again! you have no idea how much I appreciate it! Great ideas! You can save a lot of time narrowing down your venue wish list by viewing wedding portfolios by photographers who photograph in your area. These images are the end result you will enjoy of the venue for the next 20+ years. Thank you so much for your post. I came across your website through MagnetStreet’s Pinterest board and could not be happier. I also subscribed to your blog because I know future posts will be very informative. I very much appreciate your blog because in the beginning of our wedding planning I struggled with what questions to ask vendors and what things I should consider. I felt like I was just supposed to know what I want. Being newly engaged. I was scared about planning my wedding. 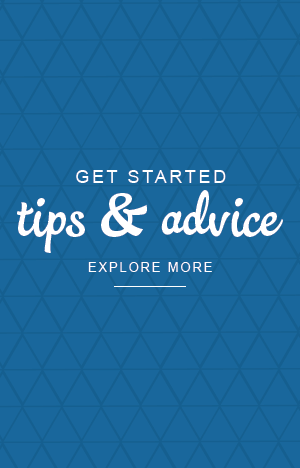 I started getting confused about what I was supposed to do until I came upon your website. Thanks for so much valuable information. I definitely like the advice of choosing 2-3 possible dates. Many times, I think that a guest needs to have one perfect date in mind (like in the Summertime on Friday or Saturday because no one else is thinking what we are thinking of that too, right?). It is definitely something to keep in mind. Of course having a few dated lined up is a good idea because you never know if the venue or vendors will all be able to accommodate. As a DJ I see this often as couples will call and cancel the date they booked and are looking for a new one. I always love my job though!! Newly Engaged? 3 Wedding Planning Tips You Must Know!